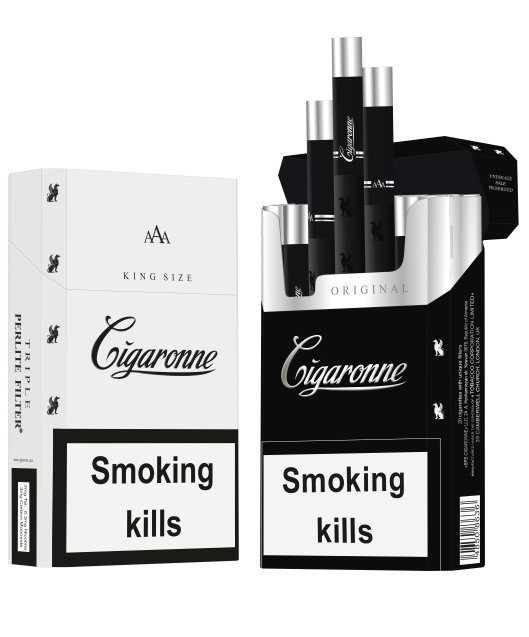 The holder of the trademark is SPS Cigaronne company. 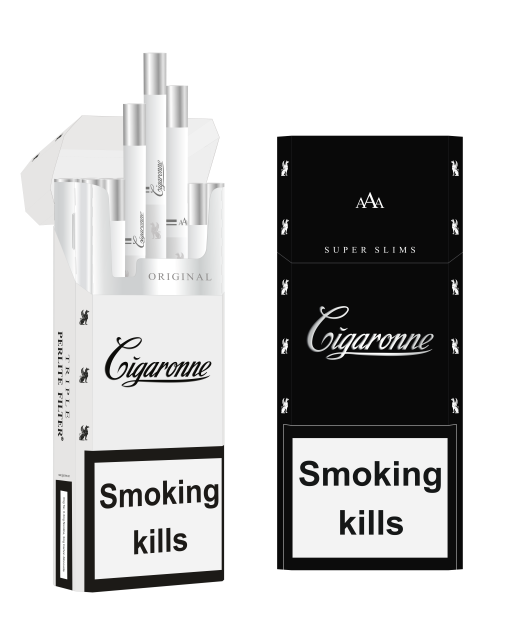 Drained tobacco from toxic substances by innovative multi conditioning technology. Triple layer PERLIT FILTER protected by international patent. 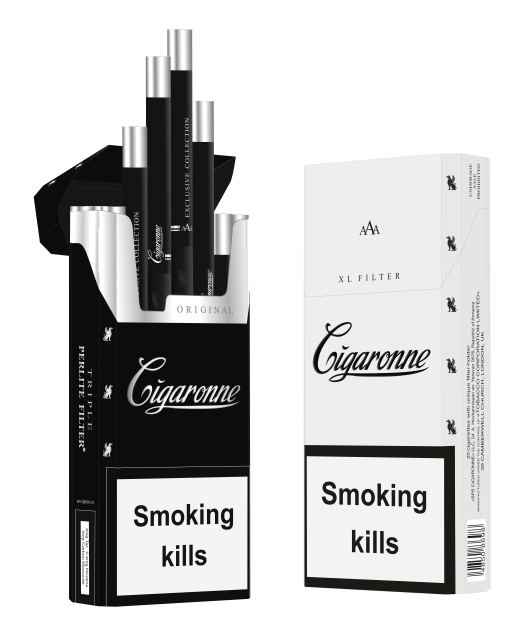 The advanced version of HOLLOW FILTER invented in 1999 by SPS Cigaronne is protected by the international patent. Hygienic hot foil line on the filter’s tipping paper protected by international patent. 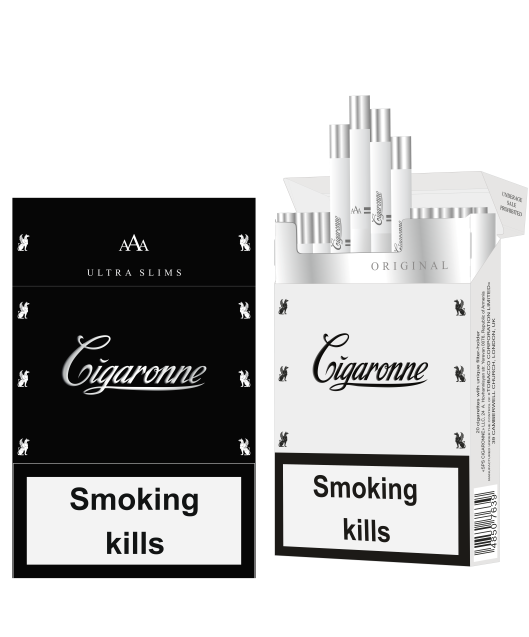 Exclusive cigarette paper with embossing of Griffin image produced for SPS Cigaronne with permanent contract. Unique designed pack with velvety soft-touch surface. 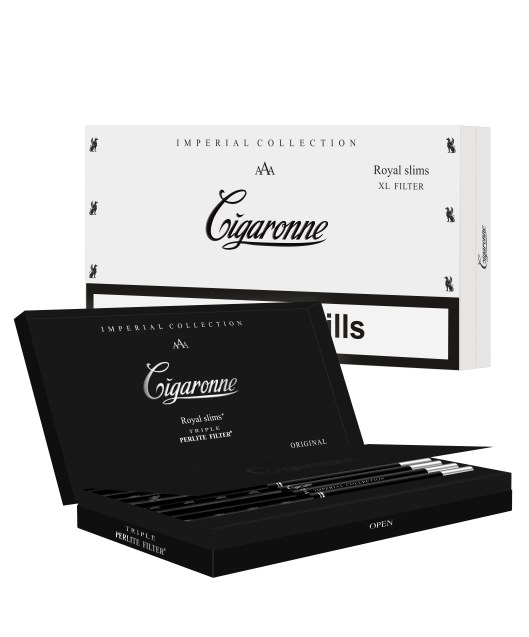 SPS Cigaronne is the owner of «Royal Slims» industrial model, created in 2013 and protected by the international patent.